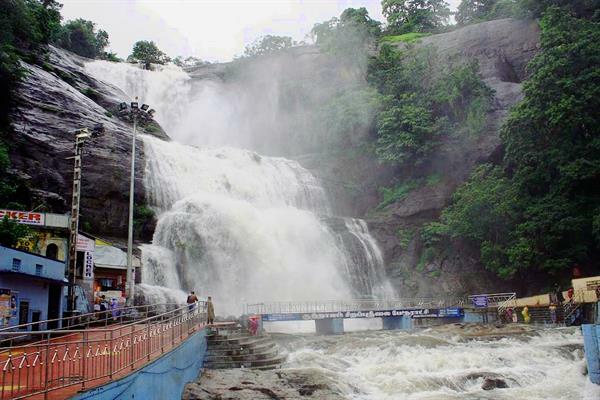 Kuttalam falls or Courtallam waterfalls is a famous tourist destination in southern Tamil Nadu. Read more about nearby attractions including famous South Tamilnadu Temples and other tourist interests which are on the south western side closer to Kerala also. By the name of Kuttralam, the famous Kutralam falls is recollected by most, as this is one of the popular falls in Tamilnadu and is location is bordering Kerala state. This article is touching the pilgrimage places to visit around the Courtallam as usually people may visit this place during the season at Courtallam Falls and return but there are many places to visit and so one can make a visit during off-season also. This is also a list of must visit pilgrimage centres for a south Tamilnadu Temple Tour. I have had the opportunity of visiting these places frequently visits due to my son's residential education in a school nearby the Courtallam Five Falls. On various occasions, I enjoy visiting these places and hence want to share with others to let them know about them. The main towns here are Tenkasi, Kuttralam and Sengottai and these are connected triangularly and in the straight line of Tenkasi and Sengottai, there is a place called Ilanji which is actually a scenic beauty as it has two rivers on two sides, one Kundar from Sengottai and the other one Citraru from Kuttralam. If we take Kutralam as the centre node for Tenkasi and Sengottai, the line towards Tenkasi has a set of temples and the other line towards Sengottai has another set of temples. This is closer to the main Kutralam Falls in the Tirunelveli District of Tamil Nadu. During season, the place is very crowded and hence people may not feel like visiting the temple but during off-season, the crowd will be less. Visiting the temple then, is a nice experience. The sound of the waterfall may be heard and its view make be possible from within the temple as the construction is such that it is like viewing through a telescope but it is a natural hole. Main deity is Siva here. Usually, after visiting Courtallam, people only visit the famous temples in Tenkasi, the city being named after the deity Kasi Viswanathar (Siva) and again these Tamil Nadu Temples can be visited for religious as well as enjoying the uniqueness here. The temple tower is constructed to let you feel the cool breeze from the mountain (called Podhigai) when you cross the tower and the breeze cannot be felt inside or outside the entrance. So it is a place of visit for all religions though the temple's deity is Siva. This is about 6 kms from Tenkasi and the main deity is Siva but it is famous for the special deity Saneeswaran. The crowd will be more during Sani Peyarchi (Saturn passing from one planet to other) once in two and half years as people place good hope in bathing in the water tank (which is quite big) in front of the temple. 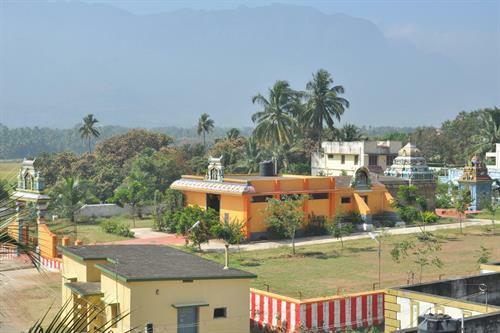 You get to have a scenic view as they are close to the cluster of hills of western ghats. 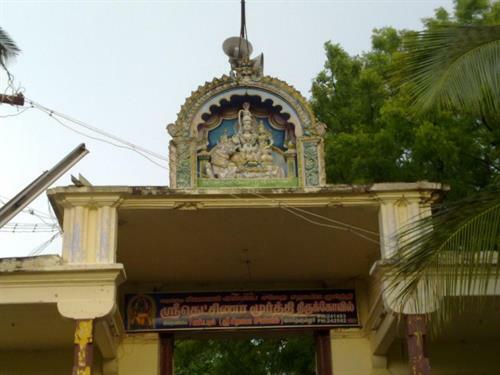 The main deity is Lord Muruga and this place is about 5 kms from Tenkasi and it is on the bank of Hanuman River (the name has a story behind it that Hanuman rested here on the bank of the river on his way to Lanka). Also Rama is known to have taken rest here and is said to have drunk water from this river and hence in the place, naming of children with the names of Ramasubramaniyan, combining the name of both the lords, is a popular culture here. It was initially with the Travancore management. The style of worshipping is similar to Kerala and hence it will be different unlike other Murugan Temples of Tamil Nadu. 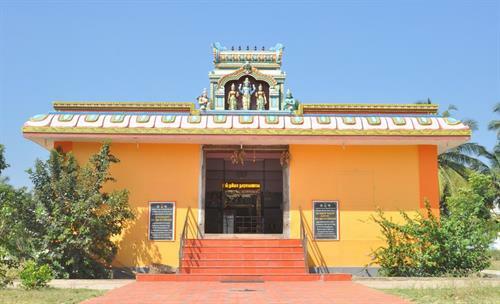 This is about 7 kms from Tenkasi near Western ghats and this temple is on the bank of Hanuman River which separates the town and the temple as the town is on the north side and temple is on the south. This temple is on the way to Sengottai from Courtallam and only those who are going towards Kerala from Courtallam only know about it while others usually miss this place. This temple is amidst greent fields and the main diety is Lord Muruga here. Another deity is Siva, which is supposed to be found in the temple premises made of Sand. There is a small river from Courtallam (Citraru in Tamil) going round the temple where people usually taking a bath. The small elephant in front of the temple is a beauty (actually in 2008 when I visited, there was a cute pair of elephants named Valli and Deivanai but now only one is available). The place is named after this deity called Ilanji. This is very old temple but very recently in 2010, it has been renovated and it regained its glory. It is on the bank of the River Citraru, which is a calm and beautiful place to visit. Though the main deity is Siva, the crowd is mostly during Thursdays and at the time of examinations, as this has a special deity Dakshinamoorthy Guru which is on the foot of the mountain. From here, people can enjoy seeing elephants in the hill forest. This place is actually the border of Tamil Nadu. There are many temples to cover near the temples listed in Ilanji, Tenkasi, Courtallam and to name a few, Mounasamy Madam (on the way to Ilanjikumara temple from courtallam), Dakshinamoorthy Temple (if proceed from Tenkasi to Sengottai), Abirami Temple(on the bank of Kundar river) and this may be seen as a junction of the four directions as one leads to Courtallam, one leads to Sengottai, one leads to Tenkasi and one leads to Ilathur. This article is about the uniqueness of temples which are in the hill top and also talks about the famous significant nava (nine) in our mythology in Tamil Nadu and where I have made a visit. We visited Kanyakumari last month and it was an awsome experience to visit the beaches and the Vivekananda rocks. Read this blog to learn more about Kanyakaumari and find some travel tips for Kanyakumari visit. I just wanted to share the good moments on various rail routes where you can have a real sight seeing and good time pass. This article is mainly on the basis of sight seeing once we visited the major towns by express trains and then to proceed to enjoy the train route which covers entirely the beauty of the western ghats. Actually, Courtallam is close to Kerala. Courtallam falls is a wonderful natural shower, but this destination is not maintained well. 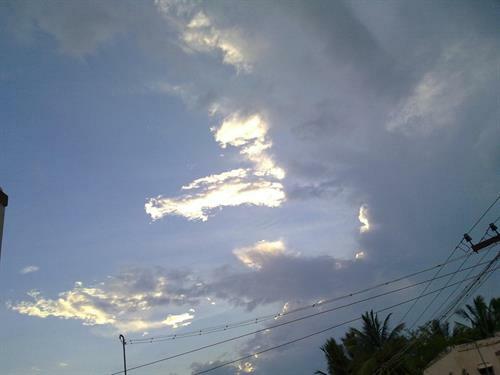 Thanks for sharing those beautiful photos from Courtallam. I would love to visit this place once and see the places you described. Can you suggest me which is the best area to stay? Any hotels or resorts you recommend for budget stay?